The aim is to catch the disease earlier and prevent patients from being referred for several tests for different forms of the illness. Patients often face delays when they have non-specific symptoms. 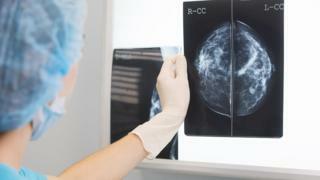 NHS England says this is a "step change" in the way people with suspected cancer are diagnosed and treated. The rapid diagnosis and then treatment of cancer can be vital in saving lives. While cancer survival rates have improved dramatically over recent decades, patients who are not displaying very obvious signs of the illness sometimes struggle to access quickly the help they need. Those with more vague symptoms, such as unexplained weight loss, reduced appetite or abdominal pain can be referred several times for different tests for different cancers, all wasting valuable opportunities to start treatment. Other symptoms can include fatigue, unexplained sweats or generally feeling unwell. NHS England is now adopting an approach first developed in Denmark - introducing 10 specialist rapid diagnostic and assessment centres where patients will receive all the necessary investigations under one roof. Cally Palmer, national director for cancer at NHS England, says the new centres could play a key role in improving diagnosis and treatment. "Early diagnosis is crucial to saving lives and providing peace of mind for patients, which is why we are driving forward plans to revolutionise our approach to cancer in this country," she said. "These new one-stop shops represent a real step change in the way people with unclear symptoms are identified, diagnosed and treated." NHS England has developed the centres in collaboration with the cancer charities Macmillan and Cancer Research UK. Sara Hiom, director of early diagnosis at CRUK, said: "We're confident that these 10 pilot centres will give us a much better understanding of what's needed to speed up the diagnosis and treatment of people with less obvious symptoms, improve their experience of care and, ultimately, survival rates. "This is a first for this country and Cancer Research UK is delighted to be partnering with NHS England in this innovative initiative. "The knowledge gained will support others looking to roll out similar approaches in future." The aim is that every patient is either diagnosed or given the all-clear within 28 days. If the project is a success, more of the centres will be established across England.